" PLEASE CHECK YOUR COLLECTION for cards marked UNK or "?" "
" - " in the Back Types column is to emphasis the Back Types. 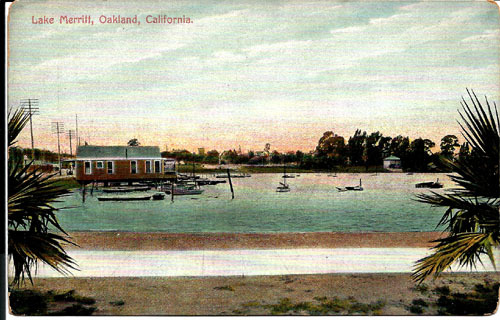 (___)    1       Panorama of Oakland. (TB_)    1 E-2b  Piedmont Park, Oakland, California. 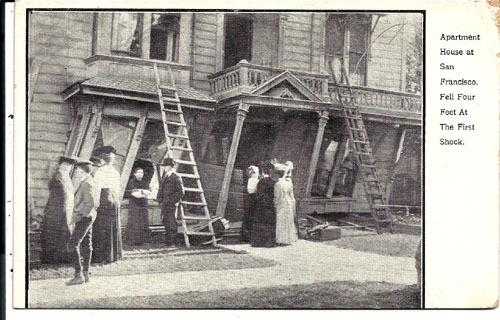 (TB_)    2 E-2c  Mills College, Oakland, California. (___)    4 E-2c  City Hall, Oakland, California. 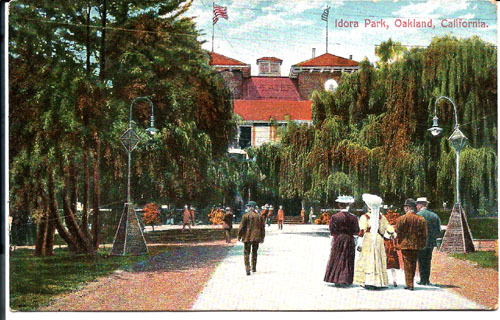 (TB_)    5 E-2c  Idora Park, Oakland, California. (___)    5       Rebecca Well, Idora Park, Oakland. 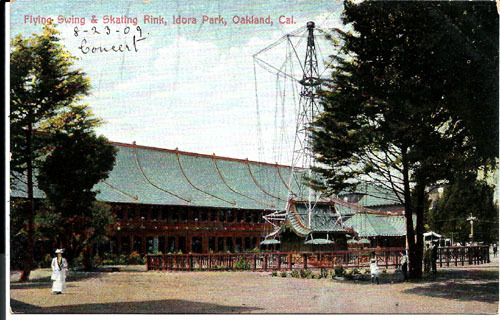 (TB_)    7 E-2b  Flying Swing & Skating Rink, Idora Park, Oakland, Cal. 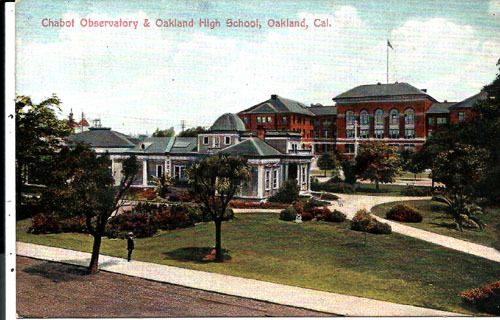 (TB_)   10 E-2b  Chabot Observatory & Oakland High School, Oakland, Cal. 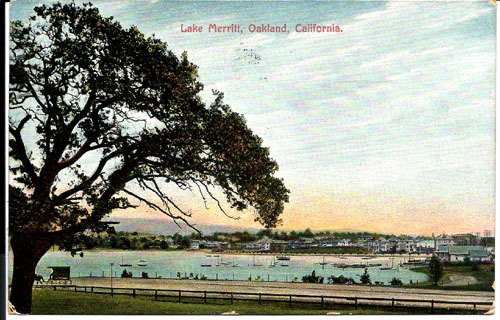 (___)   11 E-1b  Lake Merritt, Oakland, California. 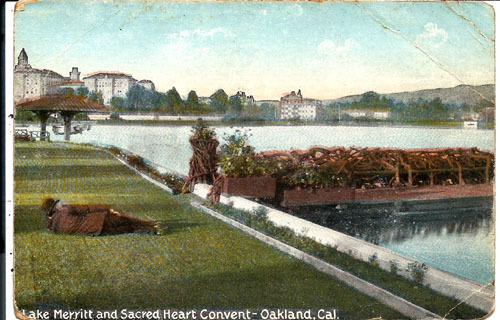 (___)   11       On Lake Merritt, Oakland, California. (sn_)   13 H-2d  Y. M. C. A. 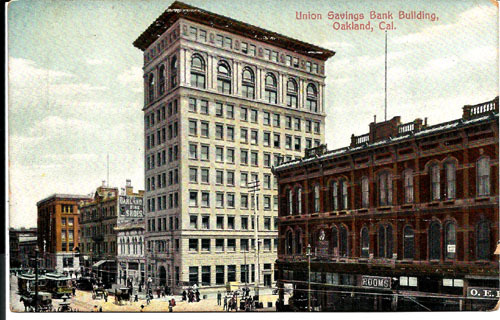 Building, Oakland, California. 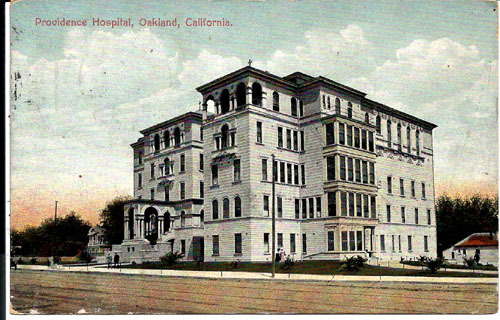 (TB_)   15 E-2c  Providence Hospital, Oakland, California. 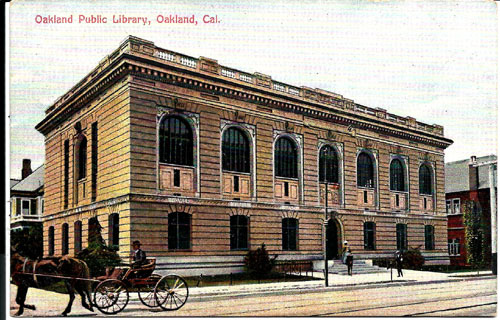 (___)   16 S-1n  New City Hall, Oakland, California. 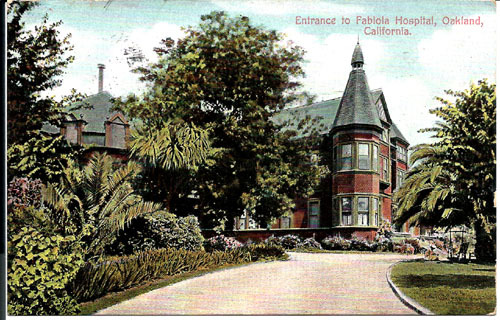 (TB_)   16 E-2c  Entrance to Fabiola Hospital, Oakland, California. 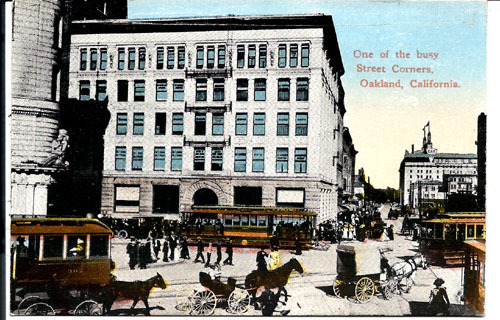 (TB_)   18 E-2c  Post Office Building, Oakland, Cal. 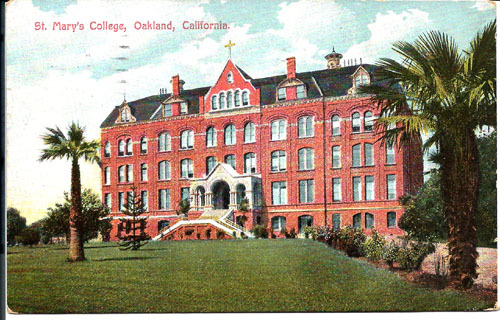 (TB_)   19 E-2c  St. Mary's College, Oakland, California. 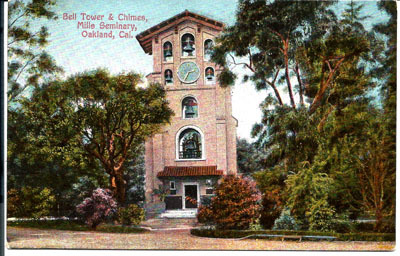 (___)   20 E-2c  Bell Tower & Chimes, Mills Seminary, Oakland, Cal. 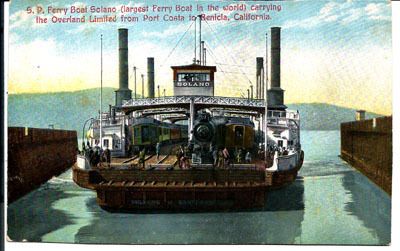 (TB_)   21 O-3a  "Hauling the Overland Limited across the Bay"
Ferry Boat "Solano" at Port Costa, Cal. 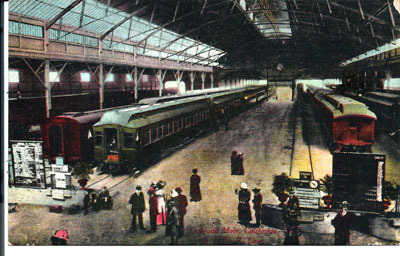 (sn_)   21 H-2d  Same  pmkd: 1905 Oskalnd, Cal. Mailedto: Miss. May Flick, East Oakland, Cal. 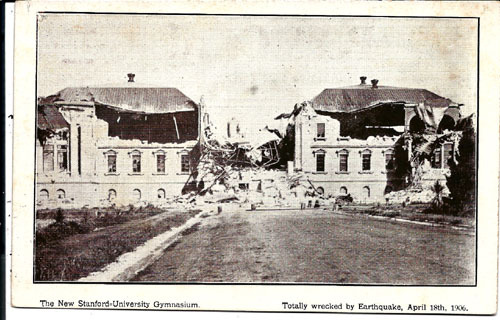 (___)   23       Grant School, Oakland, California. 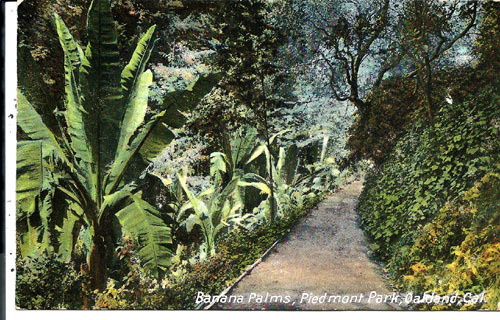 (___)   30       Piedmont Park, Oakland, California. 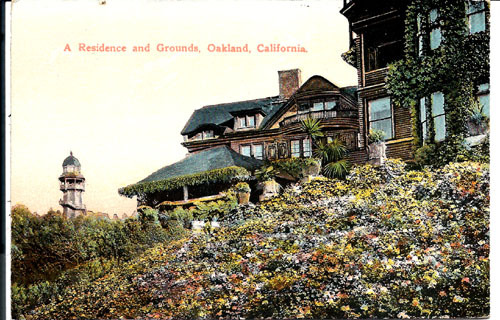 (___)   30 Q-2c  Residence and Grounds at Oakland, Cal. 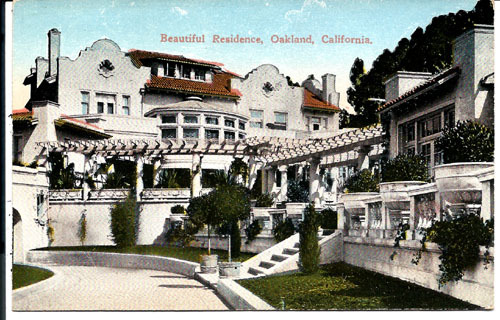 (___)   32       Claremont Club, Oakland, California. 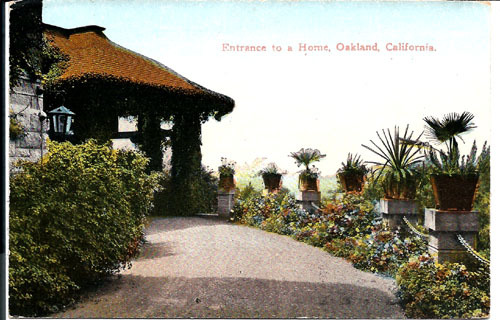 (___)   35       Entrance Home Club, Oakland, California. 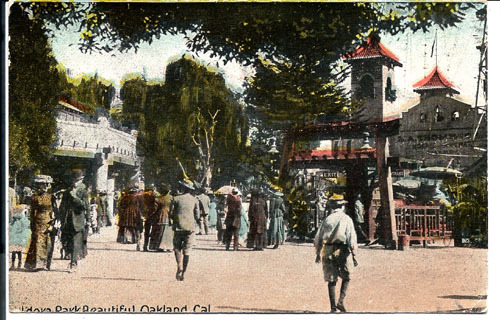 (___)   38 Q-2b  Japanese Tea Garden, Piedmont Park, Oakland, Cal. 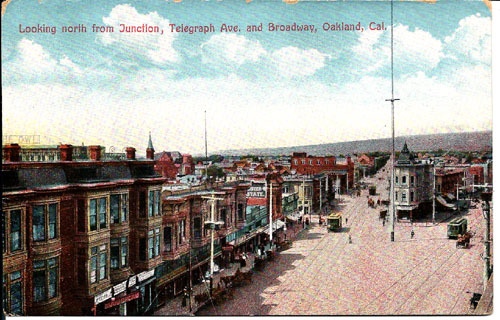 (sn_)   45 H-2d  Panorama of Oakland, California. 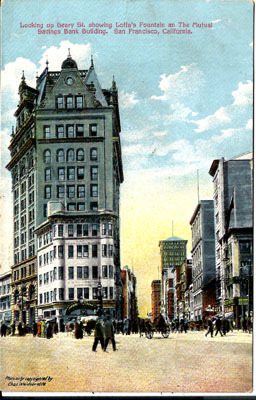 First National Bank Building in the foreground. (DE_)  101 G-SVn The Cliff House and Beach, San Francisco, Cal. 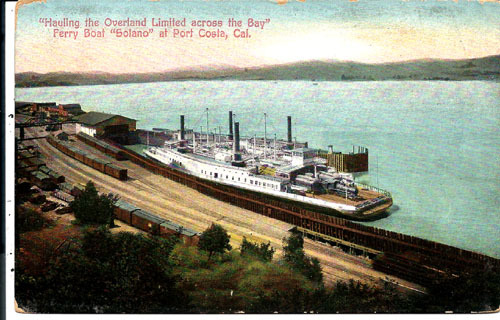 (sn_)  103 J-2   Ferry Slips, San Francisco, Cal. (TB_)  104 J-2zv Ferry Boat in San Francisco, Bay. (TB_)  105 G-3n  The Seal Rocks, San Francisco, Cal. 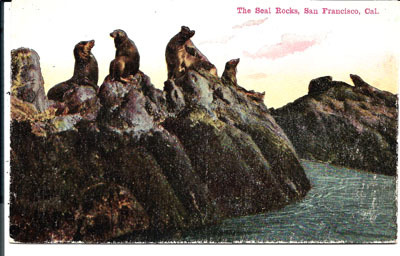 (___)  105 O-2   Seals and Entrance to Bay, San Francisco, Cal. 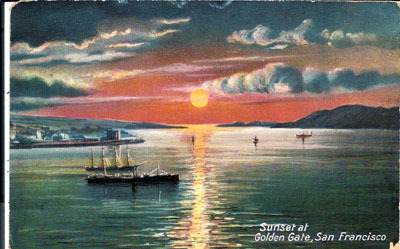 (sn_)  106 E-2b  Golden Gate from Cliff House, San Francisco, Cal. (___)  107 E-1b  Bay View, San Francisco Harbor. 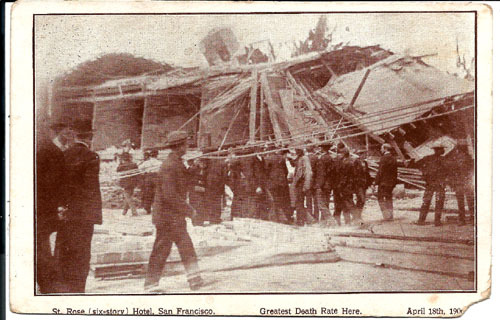 (___)  109       The Chutes, San Francisco, Cal. (___)  110 J-2z  A Walk in the Presidio, San Francisco, California. 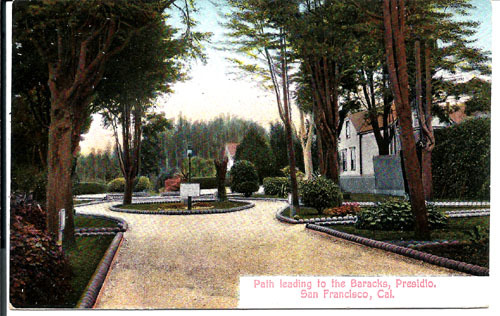 (sn_)  110 H-2d  Path leading to the Barracks, Presidio, San Francisco, Cal. 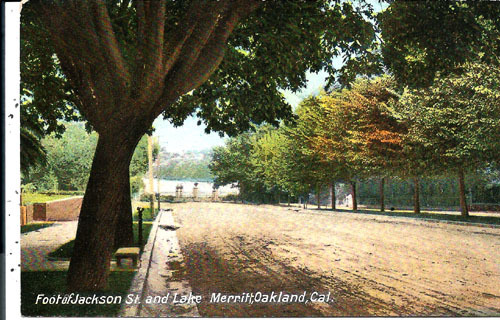 mailedto: Julie E. Shepa, Berkeley, Cal. 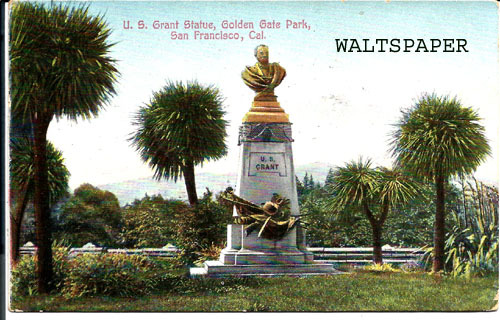 Alo a Partial Cancel from Ashland, Ore.
(___)  111 H-2v  U. S. Grant Statue, Golden Gate Park, San Francisco, Cal. 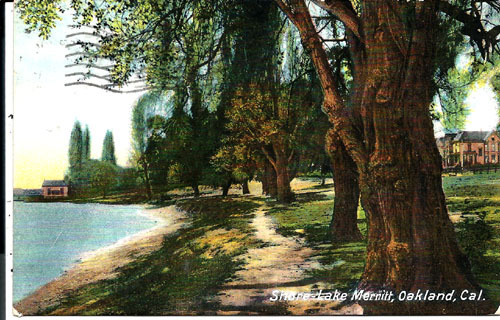 (___)  112       Stowe Lake, Golden Gate Park, San Francisco, Cal. (___)  113 E-2b  Stowe Lake, Golden Gate Park, San Francisco, Cal. 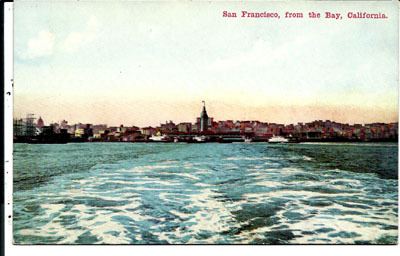 (___)  113       San Francisco Bay from Ferry Tower, San Francisco, Cal. 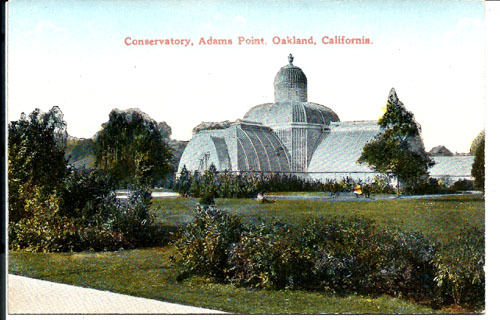 (___)  114 E-2b  Conservatory, Golden Gate Park, San Francisco, Cal. (___)  114 C-2c  Eastlake Park, Los Angeles, Cal. 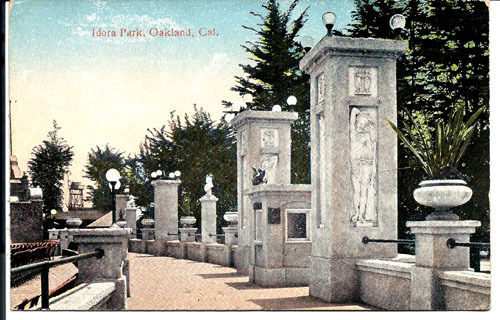 (___)  115 E-1b  Haight Street Entrance, Golden Gate Park, San Francisco, Cal. (___)  116       Haight Street Entrance, Golden Gate Park, San Francisco, Cal. 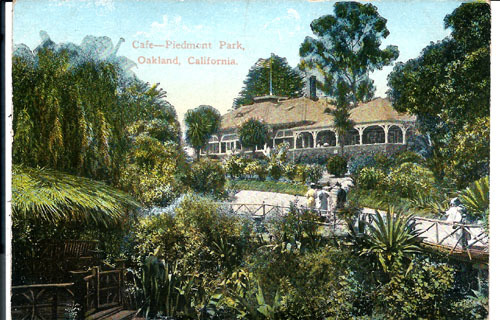 (sn_)  116 E-2b  Alvin Lake, Golden Gate Park, San Francisco, Cal. 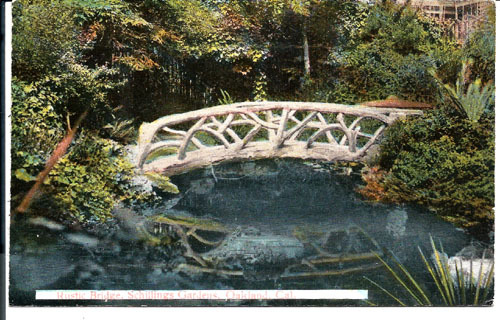 (___)  117 H-2   Japanese Tea Garden, Golden Gate Park, San Francisco, Cal. 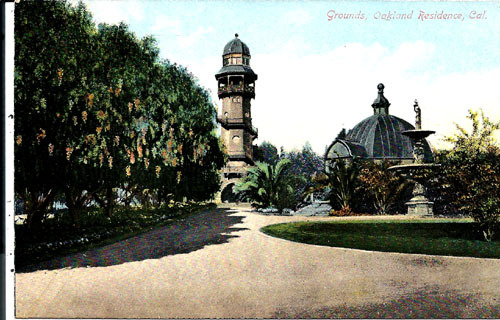 (___)  118       CJOA and Dutch Windmill, Golden Gate Park, San Francisco, Cal. (___)  119 T-1a  Dutch Windmill, Golden gate Park. San Francisco, Cal. (sn_)  120 Q-2a  Cliff House at Night, San Francisco, Cal. 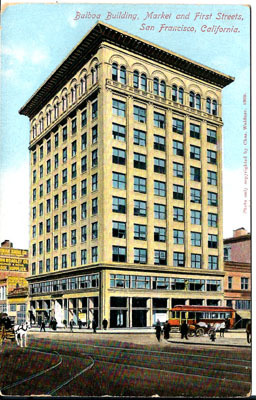 (___)  121 Q-2a  Call Building, San Francisco, Cal. (___)  123 P-2   Ball Room, Fairmont Hotel. San Francisco, Cal. (sn_)  126 J-2z  Trinity Church, San Francisco, California. 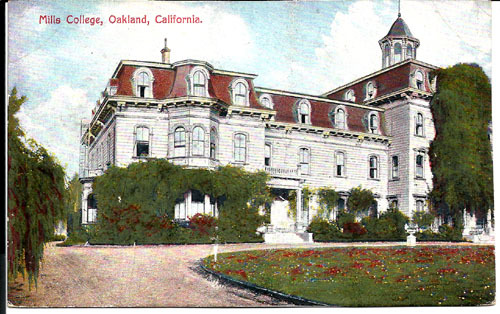 (___)  127       Barracks, Presidio, San Francisco, Cal. (___)  129 G-2n  Fort Point and the Golden Gate, San Francisco, California. (___)  131 E-2b  Land's End, San Francisco, California. (___)  133 T-1n  Lake Reflection, Golden Gate Park, San Francisco, Cal. (___)  135 E-2c  The Morning Salute at the Presidio of San Francisco, Cal. (___)  136       Fairmont Hotel, San Francisco, California. (___)  139       Japanese Tea Garden, Golden Gate Park, San Francisco, Cal. 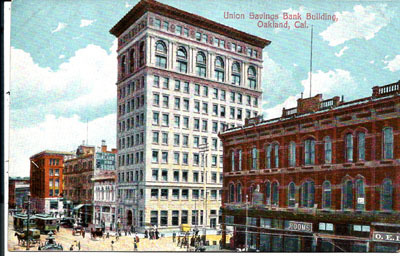 U. S., San Francisco, Cal. 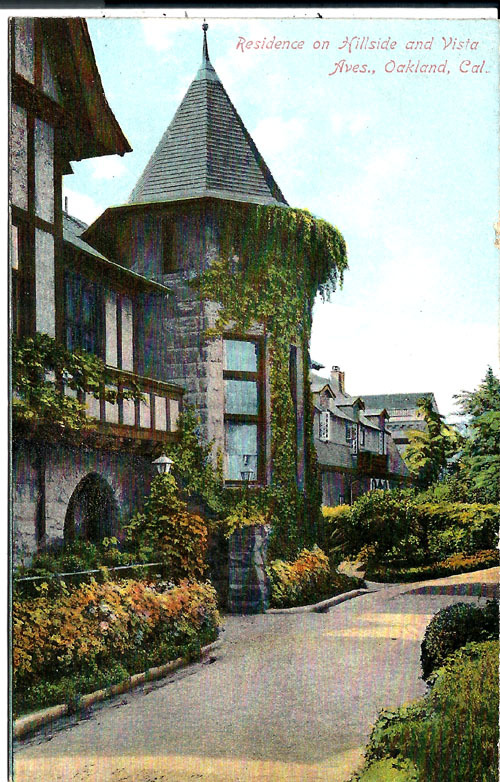 mailedto: Mr. & Mrs. Richards, Nevada City, Cal. (___)  142       The Breakfast Room, Hotel Fairmont, San Francisco, Cal. (___)  142 T-1n  View in Chinatown, San Francisco, Cal. (___)  143       The Main Court, Hotel Fairmont, San Francisco, Cal. (___)  144       The Foyer, Hotel Fairmont, San Francisco, Cal. 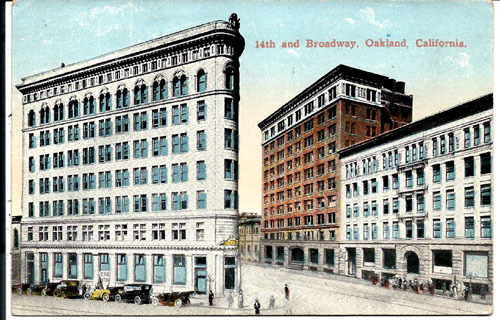 (___)  147       Monadnock Bldg., Market near 3rd, San Francisco, California. 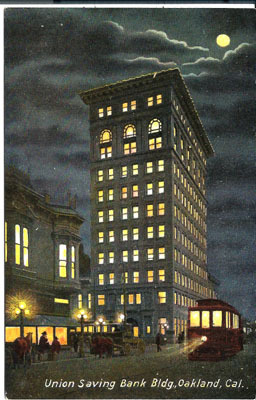 (___)  151       Market Street at Night, San Fancisco, Cal. 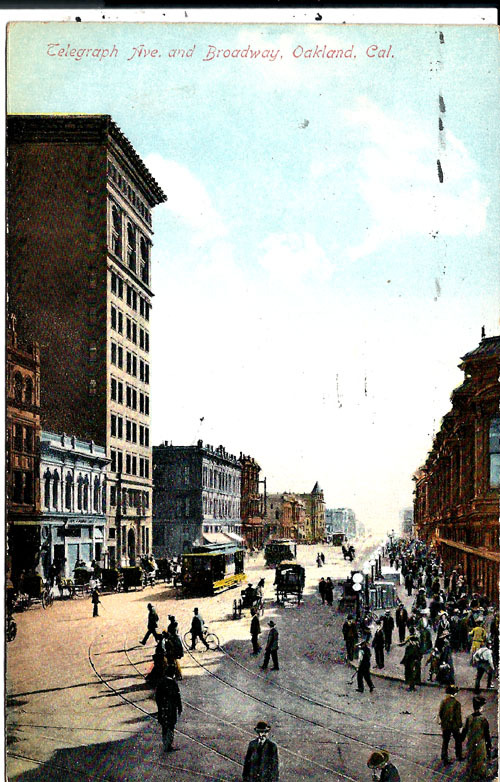 (sn_)  152 H-2b  Looking up Kearney Street from Market St. "Chronicle Bldg." (___)  153 H-2b  Hotel Fairmont at Night, San Francisco, Cal. (___)  154       Looking West up Dupont St., Chinatown, San Francisco, Cal. (sn_)  154 H-2b  Looking East on California St. from Dupont St.
(___)  156       Seal Rocks at Cliff House, San Francisco, California. (___)  157 H-1vn Corner Market and Post Sts. at Night, San Francisco. 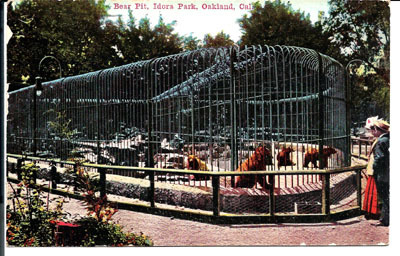 (___)  160 H-2bv The Buffaloes' Paddock in Golden Gate Park, San Francisco. (___)  163 J-2z  Palm Ave. Sutro Heights, San Francisco, California. (___)  167       Hall of Records, San Francisco, California. (___)  169       Fisherman's Wharf, San Francisco, California. 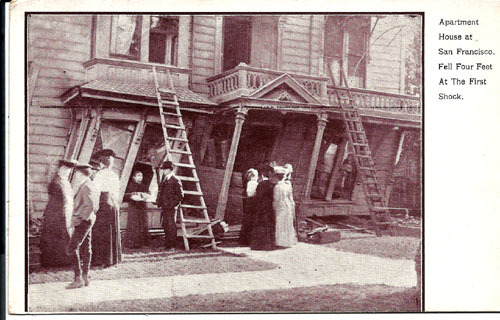 (___)  169 G-2n  Chinese Women in Sutro Heights, San Francisco, Cal. 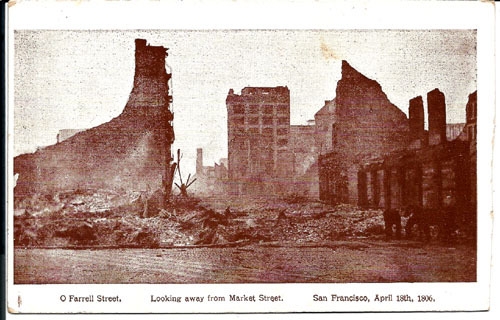 (___)  170 H-2v  Looking West on Market Street, San Francisco. (___)  172 H-2b  The Mint, San Francisco. (___)  174       Looking North from Third and Mission. 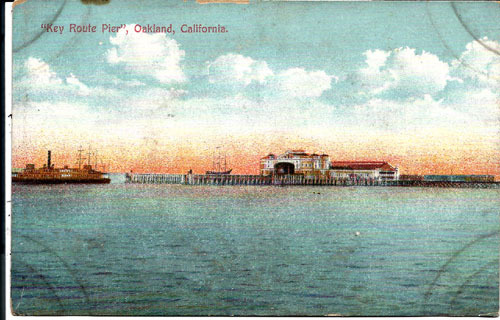 (___)  175       The Ferry Building and Bay San Francisco, Cal. (___)  179 H-2bv A Mid-Winter Scene in Golden Gate Park, San Francisco. (___)  180 F-1n  Beach Bathing on New Year's Day, San Francisco, Cal. 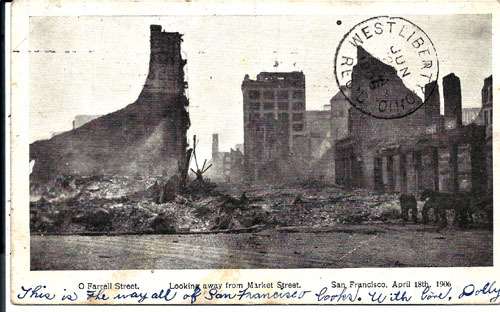 (___)  181 F-1n  Grant Avenue, Chinatown, San Francisco, Cal. 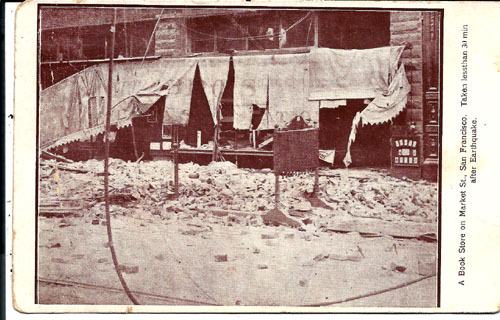 (___)  181       Market St. 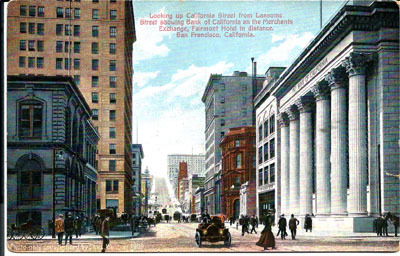 Looking West from 5th St., San Francisco, Cal. (___)  182       Fireboat, San Francisco Harbor. (___)  183       The Golden Gate from Nob Hill, San Francisco, Cal. 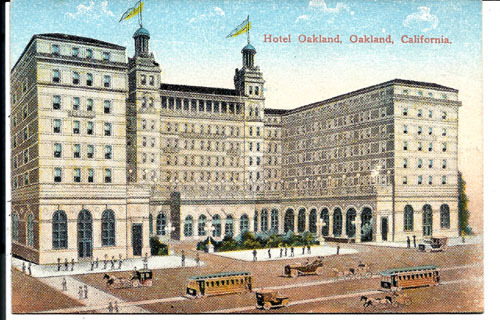 (___)  183 J-2zv The "New Palace Hotel", San Francisco, Cal. 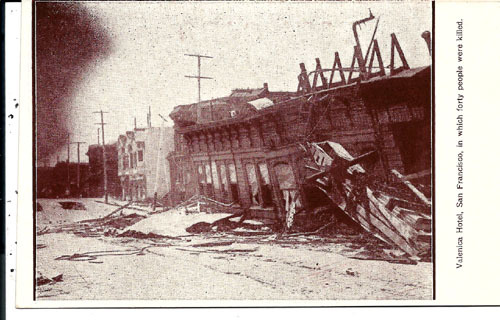 (___)  185       Navy Wharves, Mare Island, California. 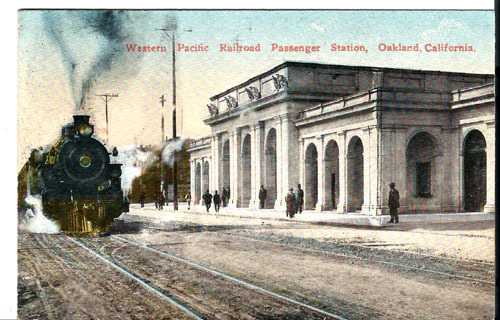 (___)  185 H-2v  U. S. Transport Dock, San Francisco, California. 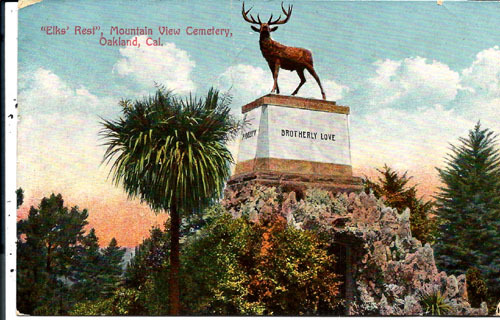 (___)  186 J-2zv Prayer Book Cross, Golden Gate, San Francisco, Cal. 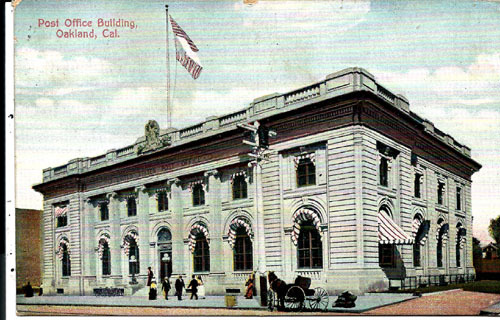 (___)  188       Bank of California, San Francisco, Cal. 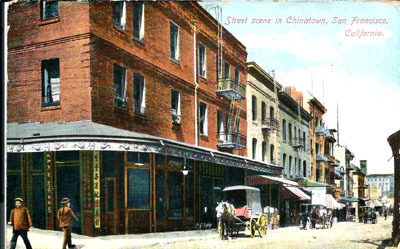 (___)  192       Dupont Street, Chinatown, San Francisco, Cal. (___)  196       Hotel St. Francis, Union Square, San Francisco, Cal. amd Telegraph Hill, San Francisco, Cal. (___)  199       Street Scene, Chinatown, San Francisco, Cal. Photo only Copyrighted By Chas. 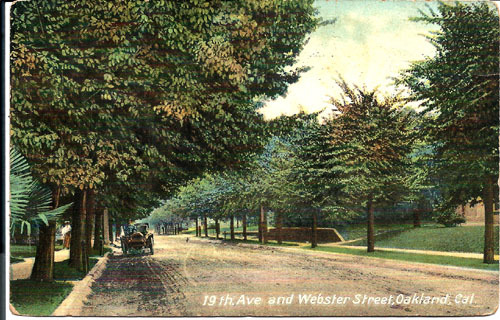 Weidner 1909.
mailedto: H. U. (Initials not clear) Shemington, Faukem, Mass. (___)  200       Chinese Street Jeweler, San Francisco, Cal. (___)  201 H-2d  Phelan Building, San Francisco, Cal. (___)  202 H-2d  Looking up Ellis and Market Streets, San Francisco, Cal. (___)  202 T-1n  Lands End by Moonlight,  San Francisco, California. 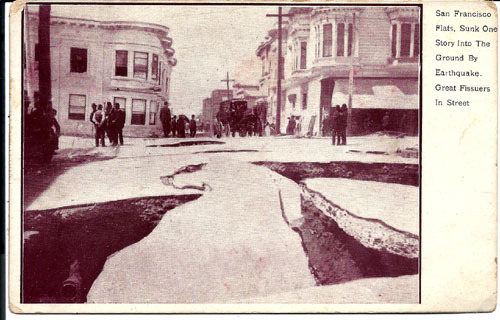 and North Beach, San Francisco, California. 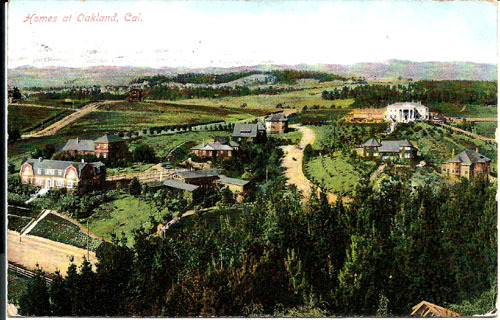 (sn_)  207 G-2n  German Hospital, Sam Francisco, Caliofornia. (___)  209 G-2n  Looking Across the Golden Gate. (___)  210       Golden Gate at Sunset. San Francisco, Cal. (___)  211 H-2b  Hotel Fairmont. San Francisco, Cal. (___)  213 F-1n  German Hospital, San Francisco, California. (sn_)  214 G-2n  Two Chinese Native Sons, San Francisco, California. (sn_)  216 G-2n  Chinese Native Son, San Francisco, California. (___)  218       Chinese Children at Play, San Francisco, California. (___)  221       The Parapet, Sutro Heights, San Francisco, California. (___)  230       Mills Building, San Francisco, California. 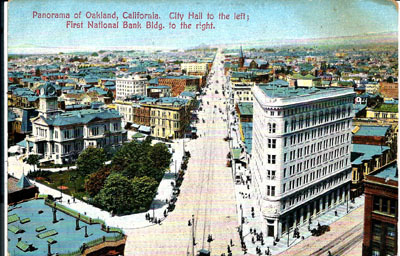 (___)  231       First National Bank Building, San Francisco, Cal. 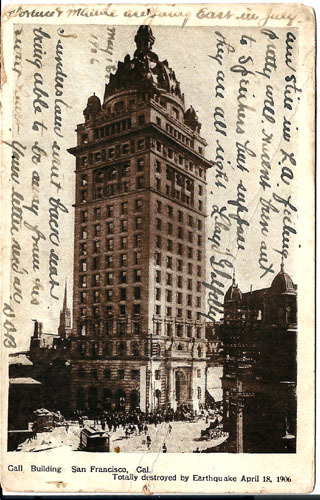 (sn_)  233 J-2zv The Call and Humboldt Bank Bldg. 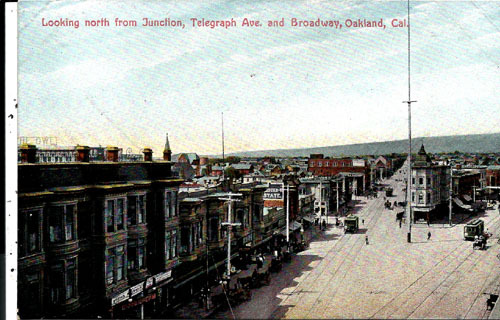 (___)  234       Junction Market and Post Streets, Showing Crocker Building. 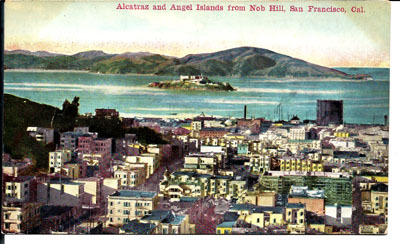 (___)  237       Panorama of San Francisco looking Toward the Bay. (___)  239       New Cliff House, San Francisco, California. (sn_)  240 J-2zv Alcatraz Island, San Francisco Bay, California. 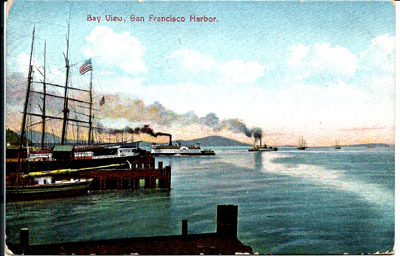 (___)  241       Shipping Scene on the Wharf, San Francisco, California. (___)  244       Str. "Mongolia" Off for the Orient, San Francisco, Cal. (___)  245       Mission Street Wharf, San Francisco, California. (___)  247       So. Pac. 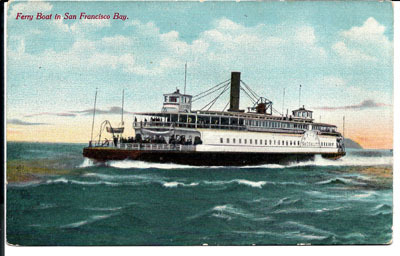 Ferry "Oakland", San Francisco, California. 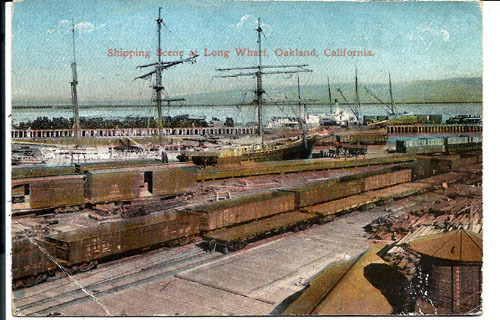 (___)  249       Unloading Freight from Vessels, San Francisco, Cal. (___)  250       Hindoo Temple, San Francisco "Only one in the U. S."
(___)  251       Howard Street Wharf, San Francisco, Cal. 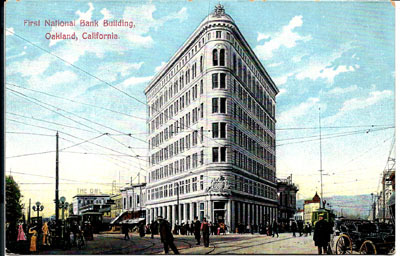 Commercial & Emporium Bldg., San Francisco, California. 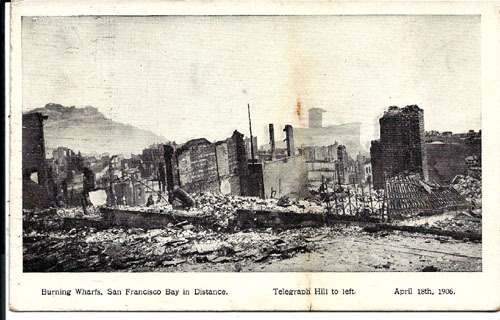 mailedto: Miss Frances Stanley, Watertown, Ky.
Fairmont Hotel in the Distance, San Francisco, California. 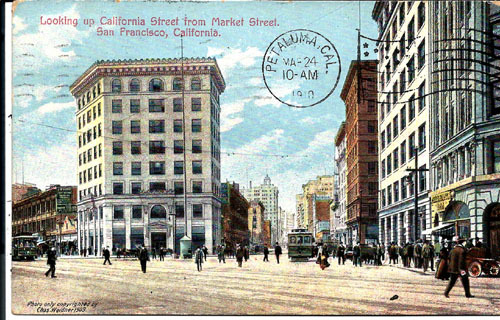 (TB_)  278 H-2dw Looking down Market from Stockton Street Showing Call Bldg. (___)  279 H-2d  On Market Street near Mason, San Francisco, California. (___)  285 J-2z  The Cliff House, San Francisco, California. 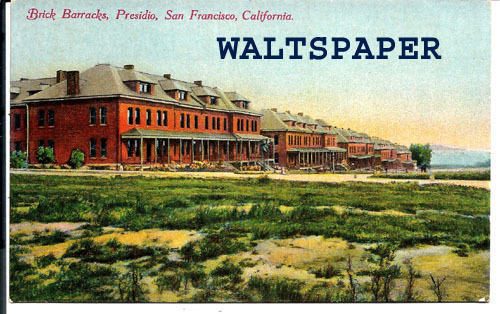 (WK_)  286 J-2z  Brick Barracks, Presidio, San Francisco, California. 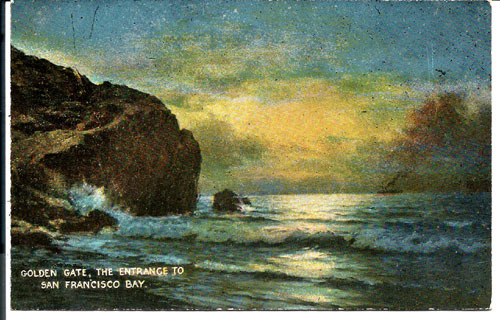 (___)  287 J-2z  Interior, Sutro Baths, San Francisco, California. (sn_)  288 J-2z  The Ivy Covered Chapel, Presidio, San Francisco, California. (sn_)  289 J-2z  The Board Walk, Presidio, San Francisco, California. (sn_)  290       The Presidio, San Francisco, California. (___)  292       Merry-go-round, Golden Gate Park, San Francisco, California. 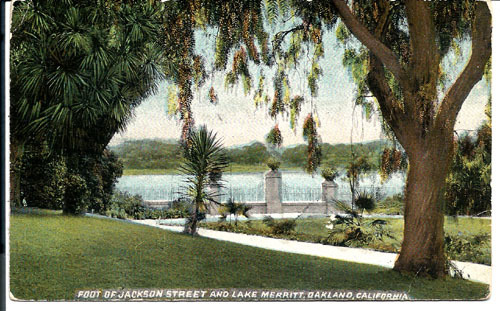 (sn_)  297 J-2z  Stowe Lake, Golden Gate Park, San Francisco, California. (___)  298 J-2z  The Chutes Ground, San Francisco, California. (___)  299 J-2z  Circle Swings and the Chutes, San Francisco, California. (___)  300       Shooting the Chutes, San Francisco, California. 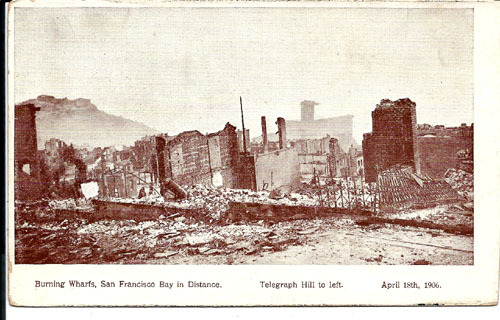 (___)  301       Panorama of the Chutes, San Francisco, California. 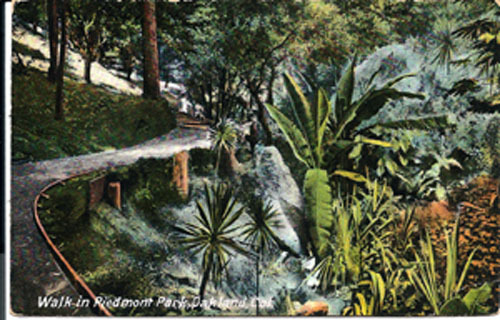 (sn_)  303       Japanese Tea Garden, Golden Gate Park, San Francisco, Cal. (sn_)  304 J-1nv Music Stand, Golden Gate Park, San Francisco, California. 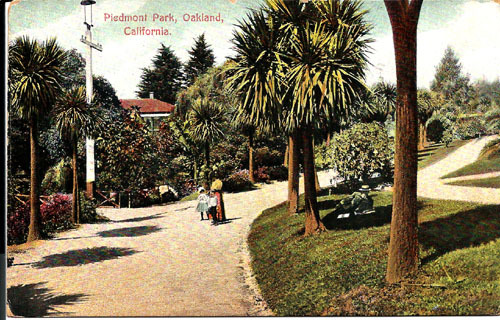 (___)  306       Children's Playground, Golden Gate Park, San Francisco, Cal. (___)  307 J-2z  The Golden Gate Park, San Francisco, California. (___)  308 J-2z  Golden Gate at Sunset, San Francisco, California. (___)  310 J-2z  Cliff House, Beach, San Francisco, California. (___)  312 J-2z  At the Concert, Golden Gate park, San Francisco, California. 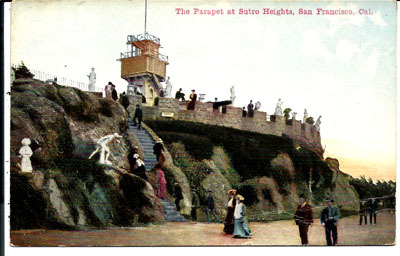 on Heights, San Francisco, California. 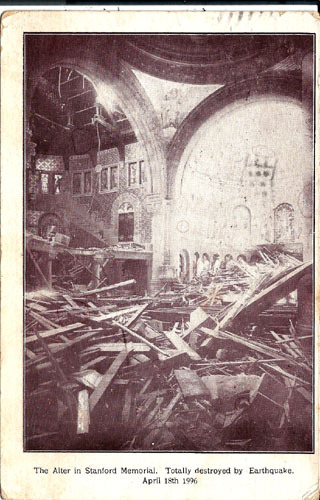 (___)  316       Calvary Church, San Francisco, California. (sn_)  317 J-2z  St. Mary's Cathedral, Van Ness Ave., San Francisco, California. 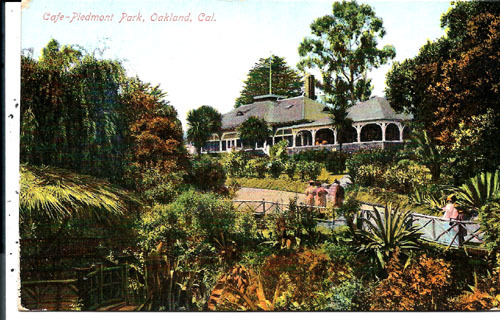 (sn_)  318 J-2z  Park Lodge, Golden Gate Park, San Francisco, California. (___)  320       San Francisco Nursery for Children, San Francisco, California. (___)  321 J-2z  The Emporium, San Francisco, California. (___)  324 G-2o  Grant Avenue Chinatown, San Francisco, California. (___)  325 G-2o  Chinese Telephone Office, Chinatown, San Francisco, California. (___)  326       Palace Hotel Court, San Francisco, California. (___)  327       Palace Hotel, San Francisco, California. (___)      G-2z  Ball Room, Palace Hotel, San Francisco, California. 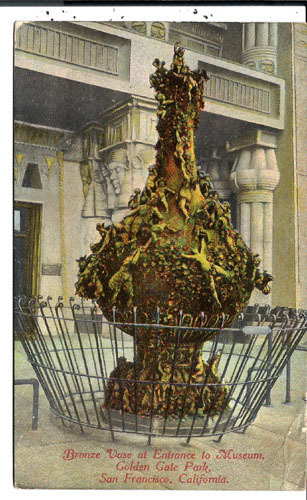 (___)            Court, Palace Hotel, San Francisco, California. 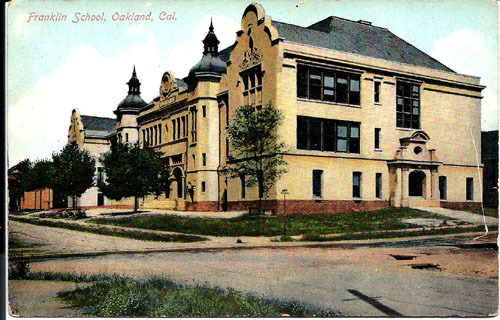 (___)      K-2z  High School, Redwood City, Cal. 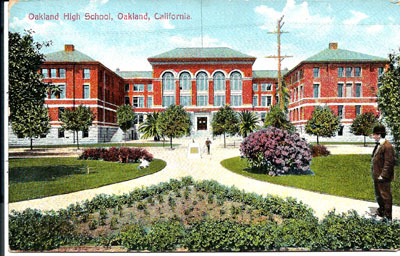 (___)      N-3   High School, Lamoore, Cal. (___)      E-2cp Los Gatos, Spanish Name for "The Cats"
(___)      E-2co Scene on Los Gatos Creek, Los Gatos, Cal. (___)      N-3   Street Scene, Lamoore, Cal. (___)      H-2   The Arcade of the Emporium, San Francisco, Cal. (___) NNNN B-2b A Book Store on Market St., San Francisco. (___) NNNN B-2c Burning Wharfs, San Francisco Bay in Distance. (___) NNNN B-2d Burning Wharfs, San Francisco Bay in Distance. (___) NNNN B-2e Call Building San Francisco, Cal. 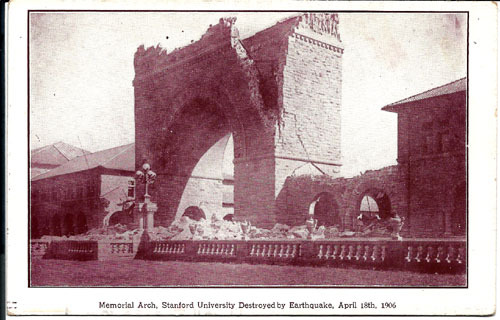 (___) NNNN B-2a Memorial Arch, Stanford University Earthquake, April 18th, 1906. 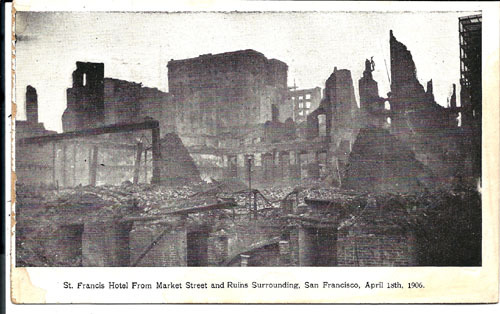 (___) NNNN B-2e St. Rose (Six-story) Hotel, San Francisco. use "ONLY" Use & Reproduction(Including scans) for business purposes, or links will require Walt's written permission.